• Non surgical nose job and facial uplift. As the name suggests, dermal fillers fills and increases the shallow contours of the targeted facial parts, softens the wrinkles and lines and makes the face to look young and beautiful. • Most of the dermal fillers are made out of a natural occurring substance that hyaluronic acid. Dermal fillers such Juvederm Ultra XC, Juvederm Ultra Plus XC, Juvederm Voluma, Restylane, Perlane, Prevelle, Belotero are hyaluronic acid gels that are mostly used for the treatment of nasolabial folds and facial wrinkles. Few variants of these dermal fillers are also used for lip enhancement procedures. Although Prevelle is economical when compared with other fillers, the duration of effect is also shorter. • Radiesse, made out of natural occurring calcium hydroxylapatite, produces long lasting effects, as it not only acts as volumizers but also produces the stimulation of collagens. Radiesse is not used for lip enhancement procedures. • Sculptra, a Poly-L-Lactic acid based filler is again a volumizer and bio stimulator used for regenerating new collagens with series of injections in a pre determined gap of 4 weeks. • Artefill is a non degradable, permanent filler made out by combining Polymethylmethacrylate (PMMA) and bovine collagen. Prior to using Artefill, skin allergy test is essential to ascertain its suitability. 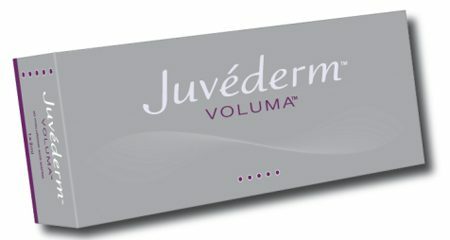 Some of the reputed dermal fillers are Juvederm Ultra XC, Juvederm Ultra Plus XC, Juvederm Voluma, Restylane, Perlane, Prevelle, Belotero, Radiesse, Sculptra and Artefill. Based on the necessity and desired objective, the dermal fillers are selected by our cosmetic surgeons. Of late, most dermal fillers come along with lidocaine which produces the numbing effect while injecting. Based on the skin tone and facial appearance, strategic injection points are marked on the face. All the injection sites are sterilized with antibacterial cleansing solution and numbing agent will be topically applied to alleviate the pain of injection. The key for success of dermal fillers lies in right dosage of right Fillers Treatment at right location. After injecting the fillers, icing are provided if necessary to reduce the minor discomfort. It should be noted that for deeper wrinkles or lines, multiple injections may be required. Pre instructions vary from patient to patient and will be advised by Dr. Sanghvi at the time of consultation. Subtle correction of facial lines that are apparent when the face is at rest and also for lip enhancement. Includes local anaesthetic (Lidocaine) formulation for comfort. Correction of deeper facial lines, folds and depressions that appear on the skin at rest. Includes local anaesthetic (Lidocaine) formulation. Results from treatment with JUVÉDERM ULTRATM XC and JUVÉDERM ULTRA PLUSTM XC can be expected to last up to 12 months. Unique formulation makes it ideal for restoration and enhancement of facial volume in the mid-face and cheek areas. Results usually lasts at least 18 months.